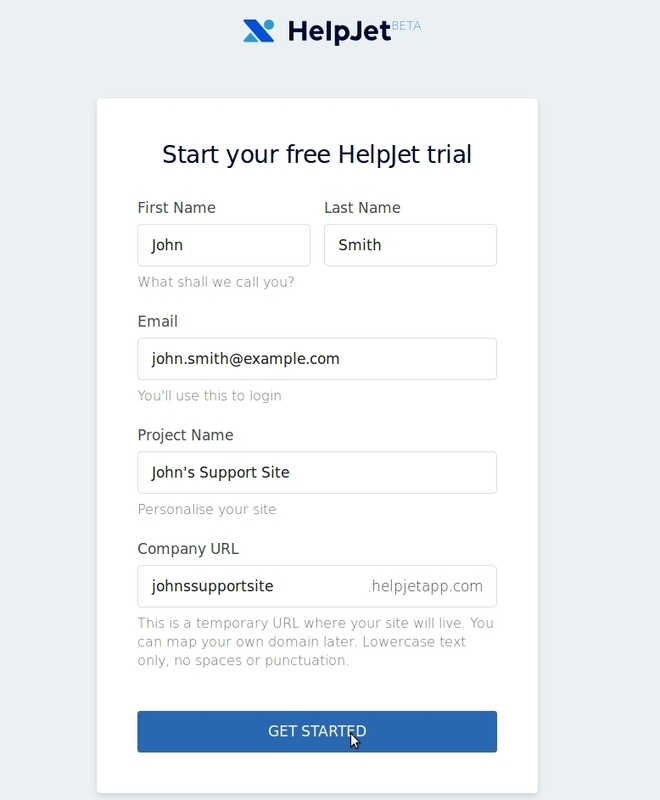 This article will guide you through getting started with HelpJet, it covers signing up for an account and the first steps to setting up your help site. HelpJet is a hosted website for your help center. It does not require any separate hosting to work, we manage that for you. You can create a help center in minutes, reducing support tickets and increase customer satisfaction. Enter a project name to describe your support site. Choose a meaningful url. This will be something like yourcompany.helpjetapp.com. You can use your custom domain once your account has been created. You will be sent an email after initial signup containing a verification code. Enter this code in the box on the next screen to confirm your email and continue signup. On the next page you will choose a password. Choose a password that is hard to guess to help keep your account secure. Be sure to remember your password as you will need your password in the next step. 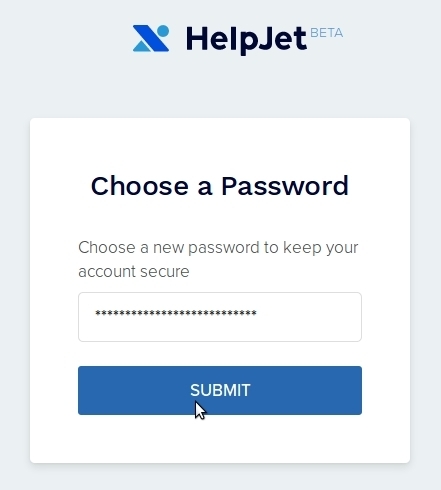 Once you have selected your password, you will be taken to the HelpJet account page, this will list your newly created help site. Click the ‘dashboard’ button and re-enter your password to login to your help site. When you first create your help center, it will already be populated with some content. This includes category, articles and a contact form. This framework gives you the essential ingredients for your Help Center. A category groups related articles together to allow visitors to navigate your Help Center. Made with in Staffordshire, UK.